Welcome To Your Private Preschool in Frisco, TX! The Blue Elephant is proud to be the leading private preschool in Frisco, TX and the surrounding areas, serving the families in our community with exceptional early childhood education and childcare services. Our mission is to help each and every child grow and develop into the best person that they can be. We believe that everyone has something beautiful to contribute to the world, no matter what, and that each child is unique and precious in his or her own way. That’s why we’re passionate about helping children learn and grow into mature, healthy, well-rounded individuals, and why we work hard to create a nurturing and supportive environment in which children can flourish. 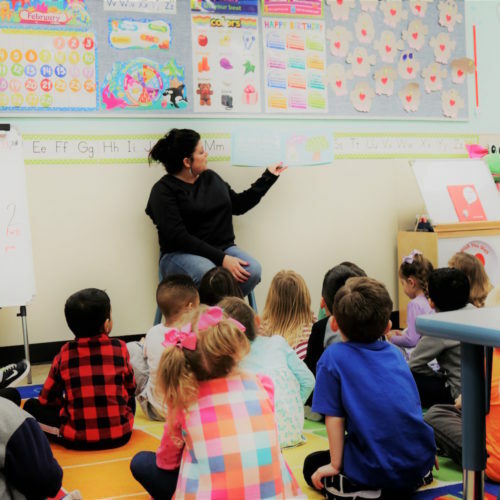 Thanks to our research-based curriculum, a world-class team of early childhood educators, and an unwavering commitment to our little learners, we’re proud to be the premier private preschool and early childhood learning center in Frisco, Texas. While it takes a team effort to make The Blue Elephant what it is, we truly wouldn’t be the special place we are today without years of commitment and dedication by our founders, Clay and Meredith. 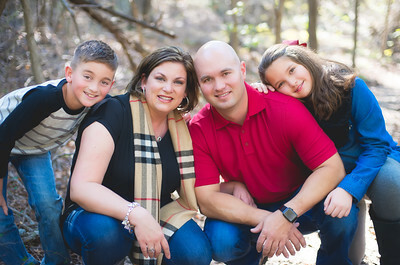 In 2003, Clay and Meredith, husband-wife team, moved to the fast-growing area of Frisco. Both share a passion for childhood education and a continuous commitment to our family here at The Blue Elephant, evident by their active roles in the school and passion for each student’s success. As president of the school, Meredith plays a hands-on role in the center’s daily operations. She spent her younger years surrounded by the groups of children who attended her mother’s preschool, which allowed her to observe and practice caregiving skills each day. Showing a natural knack for early childhood work at a young age, Meredith went on to receive an elementary education degree and the honor of being hired as a Frisco ISD teacher. She also operated a successful in-home preschool before opening TBE in 2011. Clay, a full-time fire captain, is dedicated to his family, his work, and of course, The Blue Elephant. His strong work ethic, positive spirit, and passion for shaping the next generation make him an invaluable asset to our school. In his spare time, Clay enjoys technology, vintage cars, water activities, and friendly games of bowling with his family. Together, Clay and Meredith have two children, Madison (aka Gracie) and Tyler. Both kids attend Prince of Peace in Plano, and The Blue Elephant’s Kids’ Club program. Gracie and Tyler especially love our summer program that is full of field trips, parties, and special guests! Gracie enjoys horseback riding, swimming, and dance, while Tyler is active in soccer, baseball, and karate. Everyone here at The Blue Elephant is glad that we get the pleasure of contributing to the warm, welcoming, and family-friendly community of Frisco, TX. We always love meeting new friends, so if you see us out and about in Frisco, please say hello! We also welcome visitors to stop by the center to meet us and take a tour. Along with our entire team here at The Blue Elephant, Clay and Meredith are committed to the success of every child, and that’s why we have one simple mission: To make each day your child’s best day! 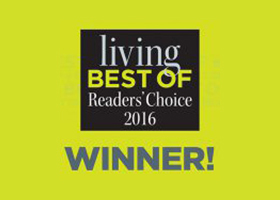 Contact Frisco’s Best Learning Center! In addition to being a private preschool in the Frisco area, The Blue Elephant is proud to serve a diverse set of needs through our Kids’ Club Summer Camp and our After School Program. If you’d like to schedule a tour of our campus, or learn more about our programs, we encourage you to give us a call at (469) 287-0332, or reach out to us at our contact page. We’re truly proud of what The Blue Elephant has become, and we owe it all to Clay & Meredith to their years of dedication and hard work. We hope you’ll join the TBE family and discover what makes The Blue Elephant such a special place!